Christie Village is your North Carolina mountain retreat. 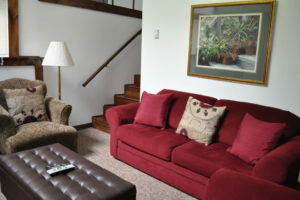 Located at an altitude of 4700 feet on beautiful Beech Mountain, we are very close to Ski Beech, Eastern America's Highest Ski Resort as well as many other activities and attractions. Come for a day of hiking, biking or skiing and stay for a week of relaxation in our rustic accommodations. Christie Village is an “Interval Ownership” resort. 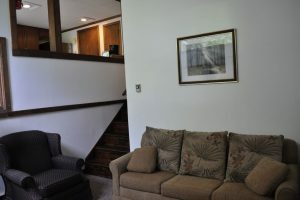 If you are looking for an inexpensive condominium time share in a beautiful mountain area, this is it. 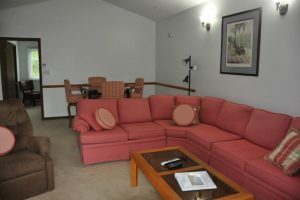 We also offer daily and weekly condominium rentals at affordable prices. Contact us today to book your reservation. Christie Villages is the perfect basecamp for your winter activities. We're just minutes from the slopes. Enjoy skiing, snowboarding, and more! Enjoy the many hills, trails and mountains. We're minutes away from rafting, toobing, zip lines and of course, climbing opportunities abound. When you stay at Christie Village, you're close to it all. Enjoy the best of our area's shopping, dining and entertainment. Or just kick back and relax, the choice is yours. Christie Village has seven duplex-style buildings, with two townhome units per building. 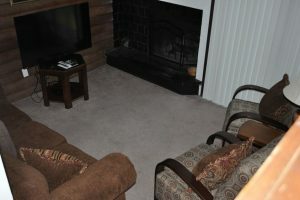 All townhomes have fully equipped kitchens, living room with wood burning fireplaces, dining area, and cozy bedrooms. Views from all windows. Large deck for outside dining or just relaxing after a day of skiing, hiking or other mountain activities. 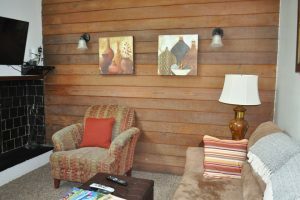 All units have a full size sofa and a wood-burning fireplace, and include WiFi internet service, cable TV and housekeeping. Laundry is onsite. There is a common entry area for each building, complete with an area for ski storage and a bench for taking off your ski boots. Close by are the Town Hall, Police Station, Chamber of Commerce, restaurants, pubs and Fred’s General Store. A local landmark, Fred’s has everything you need to make your vacation complete. From groceries to clothing, ski- rentals, fire logs and a deli with all of your favorite foods and beverages. Beech also features a 7000-square-foot outdoor ice skating rink with the best atmosphere in the region. The rink is located right in the middle of the Beech Tree Village and offers a perfect way to enjoy your winter vacation. For your summertime fun, pork chop tail ground round andouille, picanha ball tip filet mignon flank sausage ham meatball pork salami burgdoggen. Prosciutto pastrami swine ground round fatback pork belly.